Half of the world's poor suffer from waterborne disease, and nearly 6,000 people - mainly children - die each day by consuming unsafe drinking water. 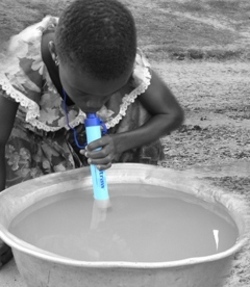 LifeStraw Personal is a portable water purifier for prevention of common diarrhoeal disease - can be carried around for easy access to safe and clean drinking water. Josep Mora, designer from Barcelona, adapted this Segway for people with reduced mobility. He added a hand break to keep the vehicle standing on its own when stopped, a folding handle bar and a folding ramp to put the vehicle in the trunk. Using patented advanced microchip technology; the CPR Prompt Audio Rescue & Practice Aids are voice-prompting devices that talk students &CPR-trained individuals through every step of adult, child and infant CPR, in real time. WL-16RIII Walkbot bipedal robot, designed by a group from Tokyo's Waseda University, is thought to allow elderly, paralysed and others to get around. Read more about the device over at Engineer Online. If you have a person in your family that will be spending time in a wheelchair the Remote Control Door maybe be a good investment. A variety of modes are available for operation. 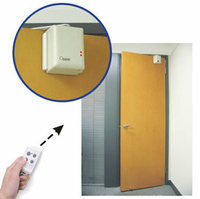 In Open/Close Mode, two remote buttons will open the door, and the other two will close it. If you have two doors set up, you can use the same remote to control both. In Toggle Mode, you'll enjoy one-button operation. By activating the remote, the door will either open or close, depending on its current position. When Timer Mode is selected, you'll activate the remote to open the door, and the door will close automatically after it has been opened for a specific period of time. You may change the timer setting from 10 seconds up to 50 seconds, in 10-second intervals. The light, breathable, cotton fabric has fully integrated conductive fibres that create connectivity to acquire and transfer analogue physiological signals to a small personal controller. The controller digitizes the data signals and wirelessly transmits them to a remote location where the data is received for monitoring. The system was developed to interface with wireless communication systems using ZigBee technology so that data can be transmitted to virtually any back-end system, and designed so that it is not necessary to have a trained technician present to send or receive data. Unlike similar products, only the Sensatex SmartShirt System combines innovative technologies in the textile, wireless, and biomedical engineering fields. 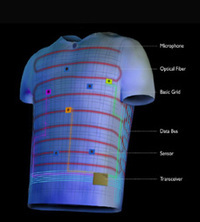 Field testing of the SmartShirt System is planned for later this year. Sensatex is also testing a one-lead EKG band and a SmartBra that would employ the same system to remotely monitor vital signs and plans to add other sensor capabilities in the future. This birth control packaging contains a timer. To summarize: the alarm sounds at the set time. The user twists open the case exposing the pills and silencing the alarm. The user pushes the pill of the day through, takes it, then twists close the pack. Twisting the case back to its closed position re-sets the alarm for the next day. "This is the most remarkable advance in civil defense equipment in many, many years. These are truly great devices." It's NukAlert. Carried everywhere your keys go, with NukAlert's 24/7 non-stop monitoring, you'll always be promptly alerted to unseen, but acutely dangerous, higher levels of radiation. An additional benefit of the NukAlert results from its negative monitoring [remaining silent] when those higher levels of radiation are not present. The device consists of a shoulder harness and an elasticated cord connected the wearer's shoe. Mr Armitage uses the elastic cord to help people whose muscles won't allow them to lift their feet during that part of the walking cycle. "We found a way of transferring energy from the strong muscles in the thigh and back to the ones that weren't working." The next stage in the product's development was to have it tested by a larger group of people. The South-West MS Society helped by coming up with around 20 volunteers. 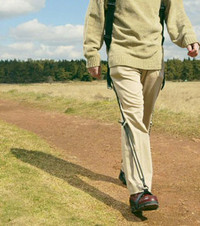 According to Mr Armitage, over a 90 day period their walking speed increased by more than 100%. The volunteers also reported - though this was not measured scientifically - that the distance that they were able to walk increased by up to 600%.